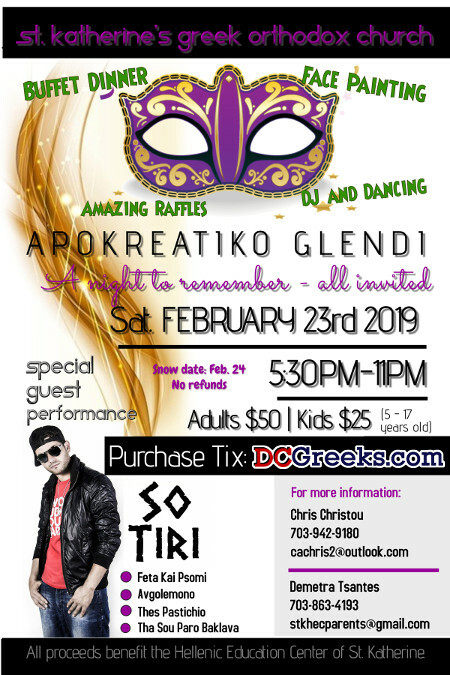 Securely purchase tickets and select your table online through Tickets@DCGreeks.com! All major credit cards and PayPal Express Checkout accepted! All Proceeds Benefit the Hellenic Education Center of St. Katherine. Family friendly event open to the entire community!